Blues, Irish, Country, Jazz, Pop Rock, World, Cabaret & Speakers available for all types of events! We have solo performers, duos & full bands, plus speakers, educators, all of whom are experienced and enthusiastic entertainers. Get in touch with us so we can help make your event as special as you imagined it to be. Price points are negotiable. We will work with you to create the type of program or event that best suits your needs. Smokin' Sleddog Records was established in 1999, and is a boutique booking agency and independent record label representing a group of amazing musicians and inspiring speakers. Insurance: $5,000 - We have and will obtain liability insurance if required. JOHN LATINI can perform in concert as a solo artist, with a quartet, quintet, or full quartet w/ a horn section and background singers. John is prepared to present two full sets of blues music, or a combination of roots based music and blues. He can also lead workshops in guitar, songwriting and performance techniques.. Available for concerts, festivals, weddings and parties. The duo consisting of SIUSAN O'ROURKE & ZIG ZEITLER or with their 4-piece quartet known as MONDAY'S SUPPER is available in concert to perform a varied set list that includes traditional Irish songs, folk classics, reels, Irish American Tin Pan Alley numbers, and unique arrangements of contemporary music. JAIME MARVIN Jaime performs original Pop Rock and Adult Contemporary music using guitar, percussion and sometimes piano. She also has a huge catalog of cover songs in her back pocket from years of performing 3 and 4 sets of music several times a week. She can perform solo, duo or with a band. SADIE BASS is available to perform in concert in a solo, duo or band configuration. She also is the perfect fit for festivals and outdoor concert series. With 21k followers on Instagram, Sadie is a popular pick as an opening or support act for national touring country music artists. Sadie will perform some of her own country songs, or covers of some of your contemporary country favorites. BOTTLE ROCKET CABARET is available for concerts, libraries, festivals, and private events. They have several themed programs that contains blues, jazz standards, country, roots, and holiday music. They also have several songs they have penned themselves incorporated into any of their concerts. John and Jamie-Sue are also happy to create a program of music designed to fit your event. SIUSAN O'ROURKE is a long time performer and songwriter able to assemble sets of Folk, Irish, or Roots music as a solo guitarist and vocalist. She is also an eloquent and moving speaker who draws from her own fight with cancer to uplift others going through their own dark places and challenges. MELISSA MILLER can speak to your group about her own anxiety issues and eating disorder that she has dealt with by challenging herself as a primitive survivalist and gaining confidence as the result of her successes. Melissa came to recognition after appearing in Discovery Channel's primitive survival challenge reality show, “Naked & Afraid.” Melissa was asked back to compete in the “Naked & Afraid XL All Stars” challenge where she had to survive 40 days in the Selati Basin of South Africa primitively. Melissa is an inspiring and fascinating speaker, and outreach educator for all ages! Sled Dog racing champ TASHA STIELSTRA has the gift of holding the attention of everyone from 5 years old and up. She is terrific in her Pulling Together programs aimed at K-8th graders, but as an adventurer, she is also an inspirational keynote speaker, and presenter for family programming, collegiate women's programs, and corporate events. Tasha has won the UP 200, a qualifying race for the famed Iditarod Sled Dog Race, as well as come in 5th Place as a participant in the Le Grande Odyssey, a sled dog race through the Swiss and French Alps. She is a dynamic and enthusiastic proponent of spending time outdoors, experiencing the wonders of nature, challenging your own abilities! ANNIE SELLICK and PAT BERGESON are a duo far beyond the standard artistic measure. What to expect; Pat is a master guitarist and world renowned harmonica player. Annie is an exciting performer with infectious vocal abilities, she is known as a body percussionist, and accompanies the duo on guitar on select songs. SUNNY WILKINSON is a seasoned performer who can charm any audience with her warm and sincere stage presence. She is an accomplished vocalist who can perform in a duo with pianist Dr. Ron Newman, or with her outstanding quartet with the addition of Larry Ochiltree on drums and Ed Fedewa on bass. ELDEN KELLY is a seasoned jazz improviser, band leader, and a highly skilled solo guitar fingerstylist, composer and songwriter. He is the perfect artist for your Jazz or World music stage, or to add a remarkable flare to any lineup. 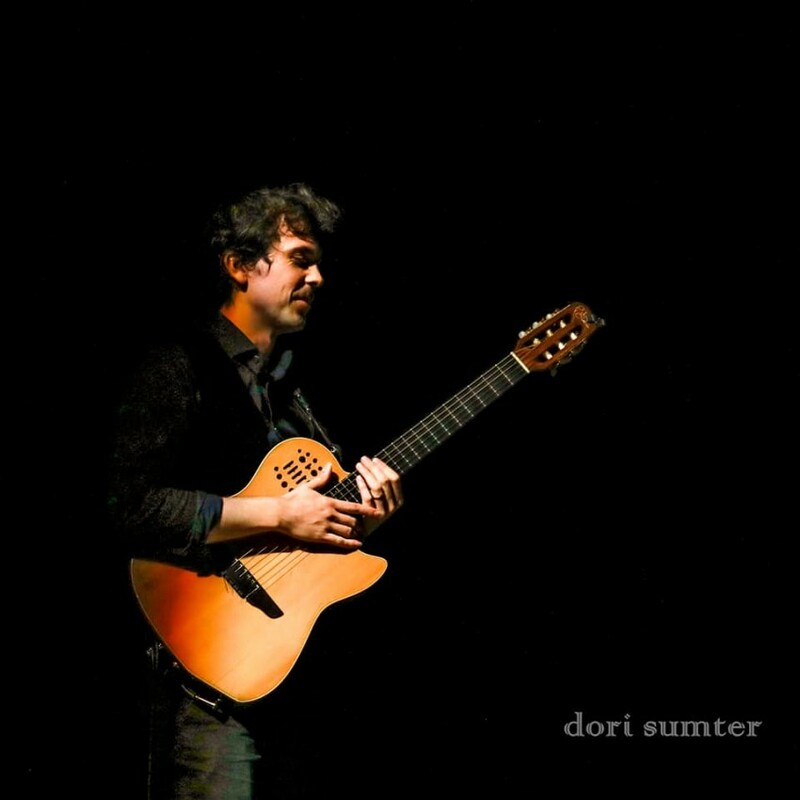 Elden is an extraordinary guitarist and instrumentalist able to wow audiences. He can perform as a solo player, or with a trio or full band. ELLEN ROWE has been described as “that rare ‘triple threat’ of pianist, composer-arranger, and teacher” (Arizona Daily Star) Ellen is a highly sought after jazz pianist with a resume to prove it. She is available to perform with her extraordinary ensemble performing Momentum: Women In Motion, or as a solo performer, or other band configuration. JAMIE-SUE SEAL is passionate about performing from a palette of music genres. She especially loves to perform with her show band, THE COME HITHERS, an all-girl band that includes some of the hottest female performers in the industry. Available to perform original material and cover songs solo, duo or with the band for select public and private events. ZYDECO ZIGGIE is a long time performer steeped in Blues, Cajun, Zydeco and Country. He can offer sets for public and private events as a solo entertainer or with a band year round, or for special events like Mardi Gras, or New Year's celebrations. JOHN LATINI is a 3-time Detroit Blues Champion whose latest CD The Blues Just Makes Me Feel Good claimed the 23rd spot out of the Top 200 Contemporary Blues Albums of 2017 on the RMR Chart. John also has won numerous accolades for his roots rock, and songwriter material. He is available as a solo, duo, quartet, quintet w/ horn player, or band with full horn section. Available for concerts, festivals, weddings and parties. 3-Time Irish Music Award Nominees SIUSAN O'ROURKE & ZIG ZEITLER perform as a duo, or with their 4-piece Irish Folk band, MONDAY'S SUPPER. 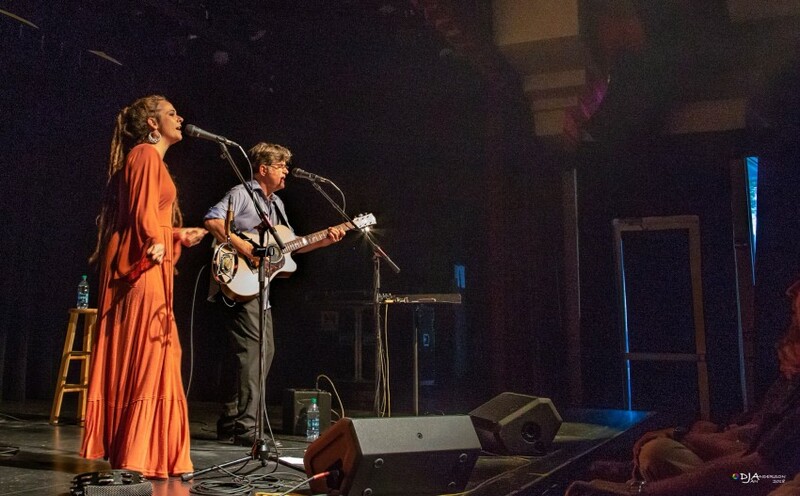 The duo's album Chance The Arm was named "Best Celtic Album" of 2014 by Celtic Echoes radio. The addition of Kat Morris and Nellie Schrantz bring some fun and lively elements to the mix by including fiddle, bodhran (drum), whistles and harmony vocals. In 2016, Monday's Supper was selected for a juried showcase at the Tri-State Performing Arts Conference in Iowa. As always, the repertoire includes age-old traditional Irish songs, alongside new and contemporary music plus some lively reels. Expect to hear beautiful vocals and excellent instrumentation, but these seasoned veterans are also prepared to offer history-based programs, music workshops or an Irish Christmas show. JAIME MARVIN is a multi-instrumentalist superbly equipped to perform on guitar and drums, sometimes at the same time! She has an album of original songs, but also knows more than 700 cover songs. Known for her percussive style of playing, Jaime adds her outstanding voice to the mix for the complete package. Available for concerts, festivals, events, parties and weddings as a solo, duo or with a full band. SADIE BASS, (yes, that's her real name!) Sadie is available for concerts, festivals and events in a solo, duo or band configuration. She writes and sings contemporary country that borders on outlaw country (think Gretchen Wilson). Sadie is real deal country...she hunts, fishes, drives a pickup truck, and takes her guitar with her everywhere and has 25K followers on Instagram. THE MOXIE STRINGS high energy performances are in demand across the country, but also pursued for their teaching clinics in public (link hidden)ison performs on a newly-invented, electric cello and Diana on a contemporary 5-string violin. Both use a variety of audio effects pedals and play a genre-blurring blend of ear-catching, mainstream melodies and foot-stomping, rock-influenced rhythms. The two sometimes present as a trio with they join forces with a percussionist Available for concerts, festivals, weddings and events. BOTTLE ROCKET CABARET is all of the spark of the hottest pyrotechnic show with none of the danger! Award winning, long standing fan favorites Jamie-Sue Seal and John Latini bring a dynamic show to every audience and are brought back time and again by venues who are wowed their infectious stage presence, incomparable musicianship, spot on comedic timing and their unmatched chemistry. Bottle Rocket Cabaret is a hit out of the park every time, with shows that bring award winning originals, Blues, Americana, Roots Rock, Jazz and well-loved standards to audiences everywhere with a cabaret flair! SIUSAN O'ROURKE has been stepping onto stages and filling seats in songwriter rounds, as a main stage performer and support performer. She eloquently bridges audiences with humor, stories and great original music all coupled with the added bonus that she possesses an astounding voice. A rare deep rich alto that is enveloping beyond the emotion of the song. She leaves venues with those attending, feeling as though they had experienced an evening with her on a very personal level and she brings to her audiences a night of music that is fully experienced and remembered long after the last song is sung. On other fronts, SIUSAN O'ROURKE is now a 10 year cancer survivor and advocate, being the founder of the Cancer Stinks Roadshow which raises funding for local organizations within the communities that she travels through, she is available for performances as well as speaking engagements to raise money for cancer and end of life organizations. MELISSA MILLER came to recognition after appearing in Discovery Channel's primitive survival challenge reality show, “Naked & Afraid.” In the Season 7 finale “Worlds Collide”, she survived 3 weeks in the Amazon Jungle with only a fishing line, knife, and fire starter. After achieving success in her 21 day challenge, Melissa was asked back to compete in the “Naked & Afraid XL All Stars” challenge where she had to survive 40 days in the Selati Basin of South Africa primitively. Melissa is an inspiring and fascinating speaker, and outreach educator for all ages! Specialties include shelter building, fire craft, foraging self esteem issues, and more! Sled Dog racing champ TASHA STIELSTRA has the gift of holding the attention of everyone from 5 years old and up. She is terrific in her Pulling Together programs aimed at K-8th graders, but as an adventurer, she is also an inspirational keynote speaker, and presenter for family programming, collegiate women's programs, and corporate events. Tasha and husband Ed own Nature's Kennel Sled Dog Racing and Adventures in the Upper Peninsula of Michigan, and Tasha travels all over the country as a popular speaker and outreach educator. Their kennel is home to more than 150 sled dogs and has been featured in numerous articles, news programs, and in commercials, videos and billboards for the Pure Michigan campaigns. The husband and wife team have received numerous humanitarian awards for the outstanding care of their dogs. They were invited as the first keynote speakers at the Sled Dog Veterinarians Conference, an invitation usually reserved for veterinarians. ANNIE SELLICK and PAT BERGESON are a duo far beyond the standard artistic measure. 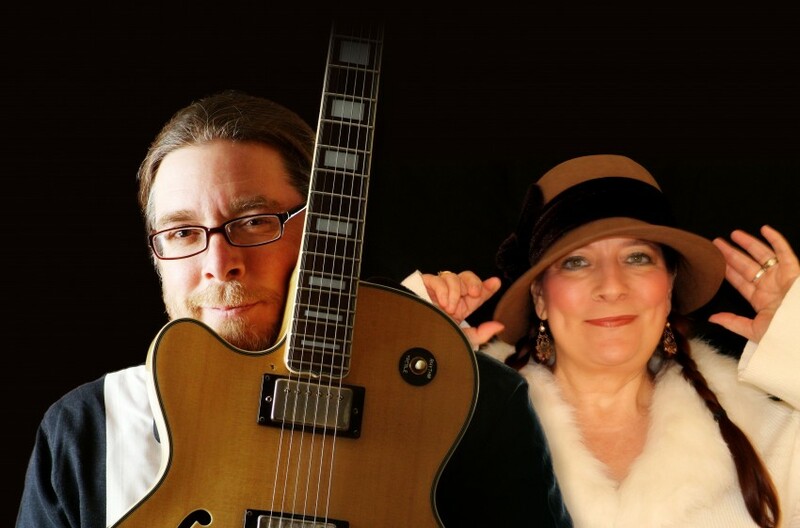 Jazz vocalist phenom, Annie Sellick teams up with her husband, master guitarist and renowned harmonica player, Pat Bergeson, to present a live performance not soon forgotten by any audience. With exquisite vocal capabilities, exceptional musicianship, body percussion and extraordinary stage presence, this pair comes together to more than double the wow factor of their performance as a duo. Annie and Pat together on stage cover an incredibly wide swath of music with rootsy cover songs, jazz standards, soulful originals and cabaret classics. They reach out to an equally wide audience base and have an incredibly fast growing population of fans and followers who leave their performances totally inspired by their high level of skill, confidence, ease and charm. Over the years, SUNNY WILKINSON has sung with The Count Basie Band, Rob McConnell and the Boss Brass, Mark Murphy, Milt Hinton, Kenny Wheeler, Clark Terry, Bill Watrous, Ron Carter, Curtis Fuller, Edgar Winter, and Gene Bertoncini, among others. A busy travel schedule has her presenting clinics and performances at universities and jazz festivals, as well as jazz clubs, across the United States. Shortly after moving to Michigan, Sunny was asked to be the head of the Woman’s Caucus for the International Association of Jazz Educators. Knowing that she needed a project to anchor her vision , she launched “Sisters In Jazz” a mentoring program for young women, which was taken to an international level through IAJE. Alumni of SIJ include Tia Fuller, Anat Cohen, and Sarah Caswell. Her recent release with her quartet “Into The Light” is on the entry ballot for the 2019 Grammy Awards for Best Jazz Vocal Album. Available with quartet, duo or as guest vocalist. ELDEN KELLY is a seasoned jazz improviser, band leader, and a highly skilled solo guitar fingerstylist, composer and songwriter. He is the perfect artist for your Jazz or World music stage, or to add a remarkable flare to any lineup. Possessing guitar techniques that are the envy of many top players, Elden has captivated his audiences with his virtuosic songwriting and a voice that has been compared to the likes of Jeff Buckley. Impossible to pigeonhole, Elden creates music beyond genre borders and stretches the imagination and expectations of audiences. He possesses the multi-faceted talents of stellar musicianship, engaging performance and outstanding teaching abilities. A once in a lifetime lightning strike of talent makes him an amazing artist and much in demand for concert series and festivals, teaching camps and workshops and venues who look to bring in the extraordinary. 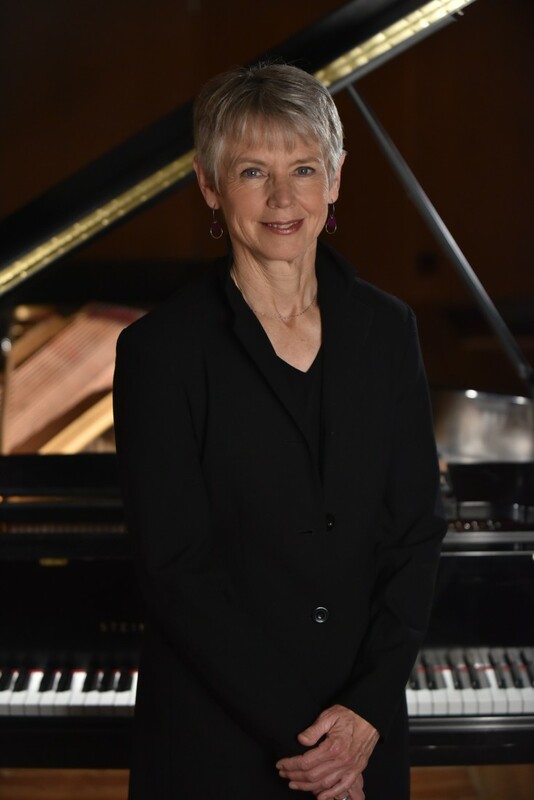 ELLEN ROWE has been described as “that rare ‘triple threat’ of pianist, composer-arranger, and teacher” (Arizona Daily Star) Ms. Rowe has performed at various jazz clubs and concert halls throughout the United States and has toured many parts of Europe and Australia. She has had the honor of appearing on Marian McPartland’s acclaimed NPR show "Piano Jazz" twice. She is in great demand as a sidewoman, performing with a variety of artists including Kenny Wheeler, Ingrid Jensen, John Clayton, Tom Harrell and Jiggs Whigham, and in keeping with the eclectic nature of her earliest musical influences, Ms. Rowe also continues to play classically. Ellen is available to perform with her extraordinary ensemble performing Momentum: Women In Motion, or as a solo performer, or other band configuration. Zig Zeitler, aka ZYDECO ZIGGIE has been playing, teaching and performing music most of his life. He has released close to 25 CDs featuring cajun, zydeco and blues. Zig is available as a solo, duo or band outfit for outdoor concerts, library programs and festivals. JAMIE-SUE SEAL has performed a variety of genres including Roots Rock, Country, Christian, Gospel, Musical Theater, Cabaret, Blues and Jazz Standards. She is a singer/songwriter who plays piano and guitar, with a degree in dance. Her performance preference is with her all female band; THE COME HITHERS that include several of her Smokin' Sleddog bandmates. For most events, our performers require for sound and light equipment to be provided by the venue or organizer. However, for smaller appearances or private gigs, many of our artists and speakers can bring their own PA.
Our roster of musicians in Blues, Jazz, Country, Irish, Pop, Instrumental and Cabaret have many influences and it would be tough to narrow it down to only a few! Requirements can be discussed and determined during initial conversations.